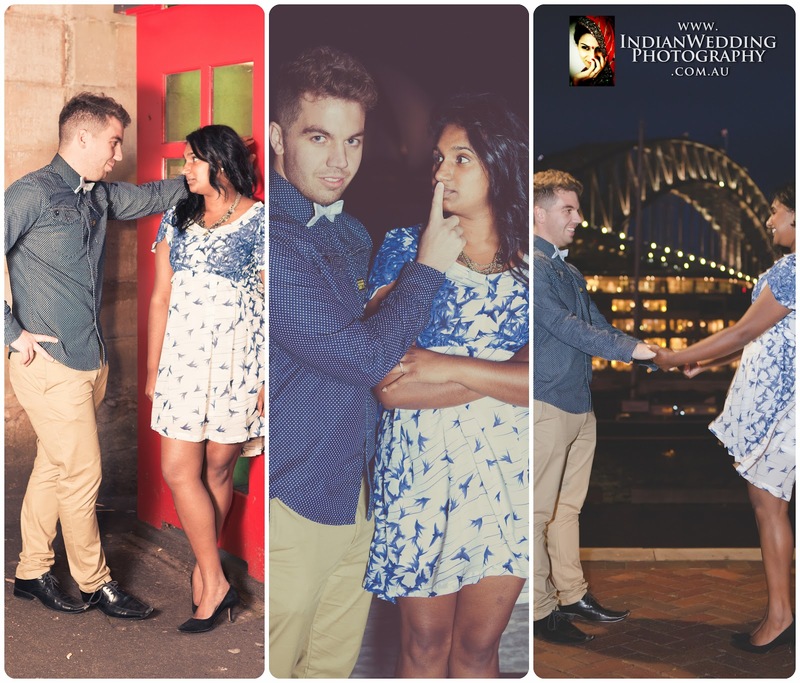 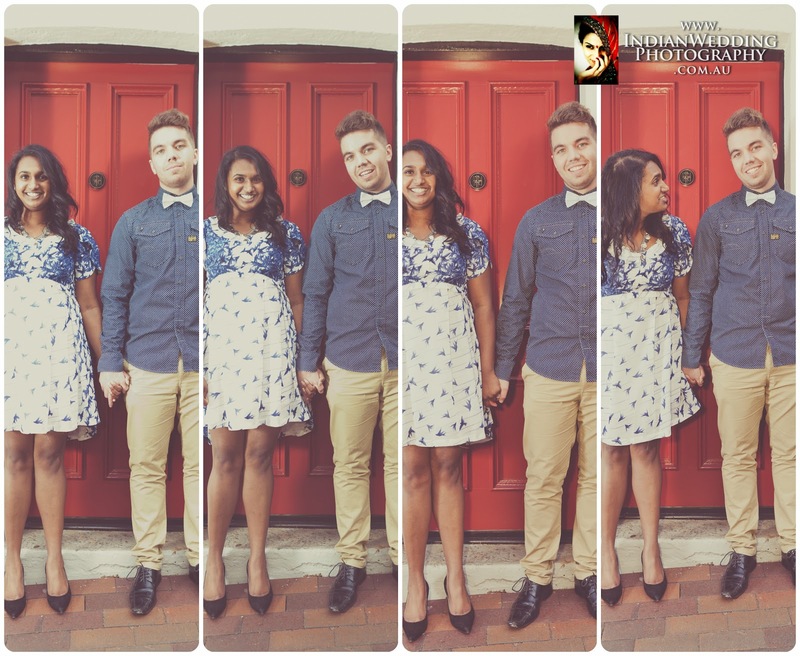 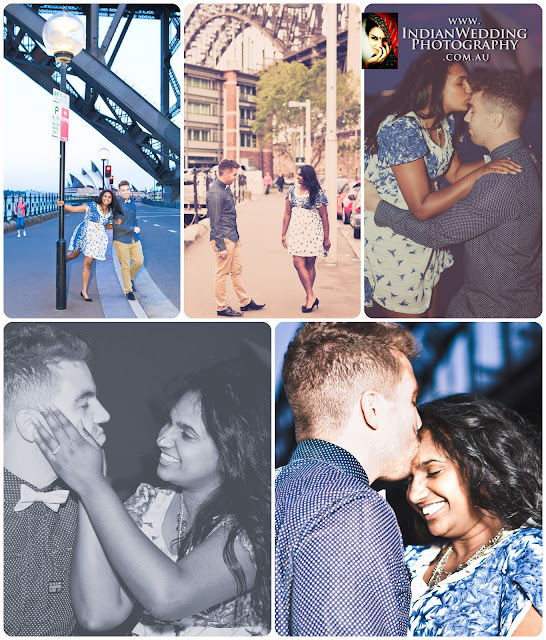 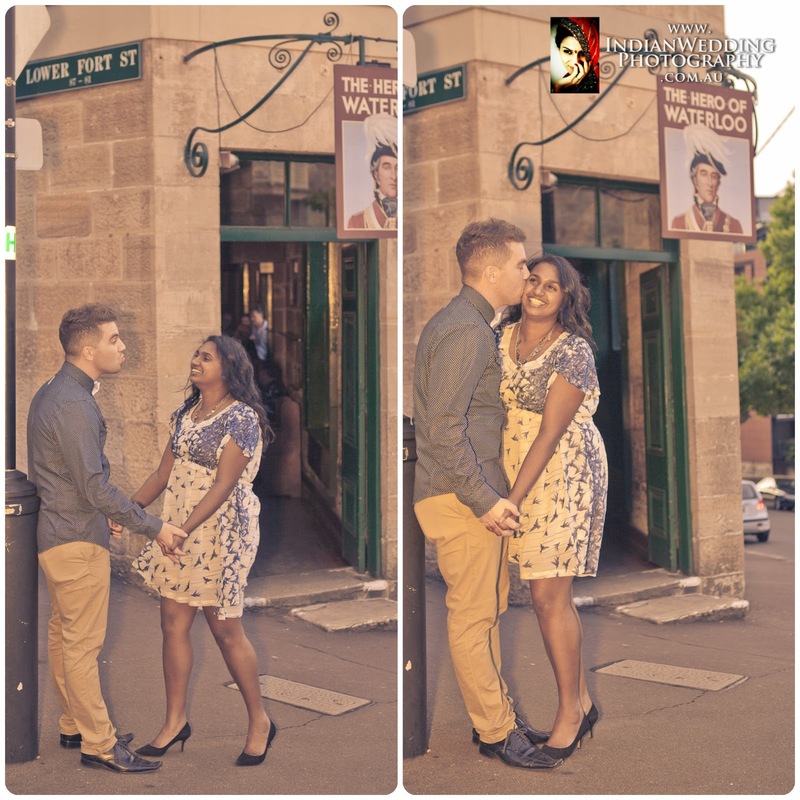 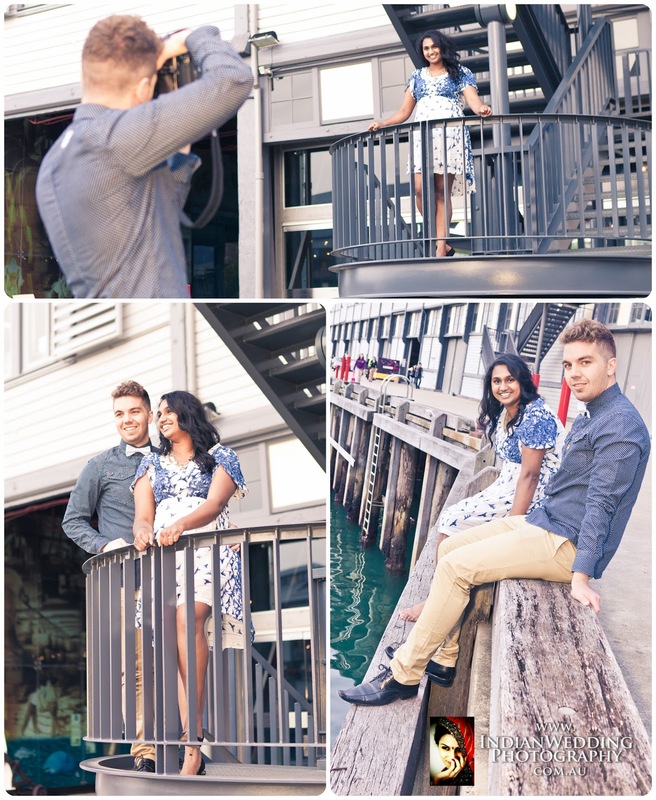 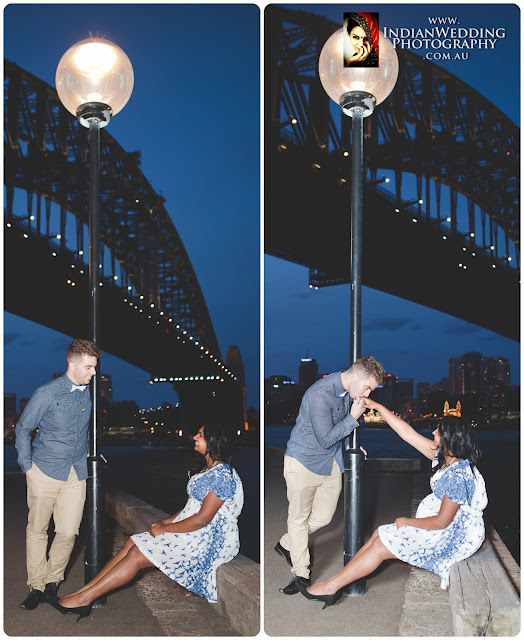 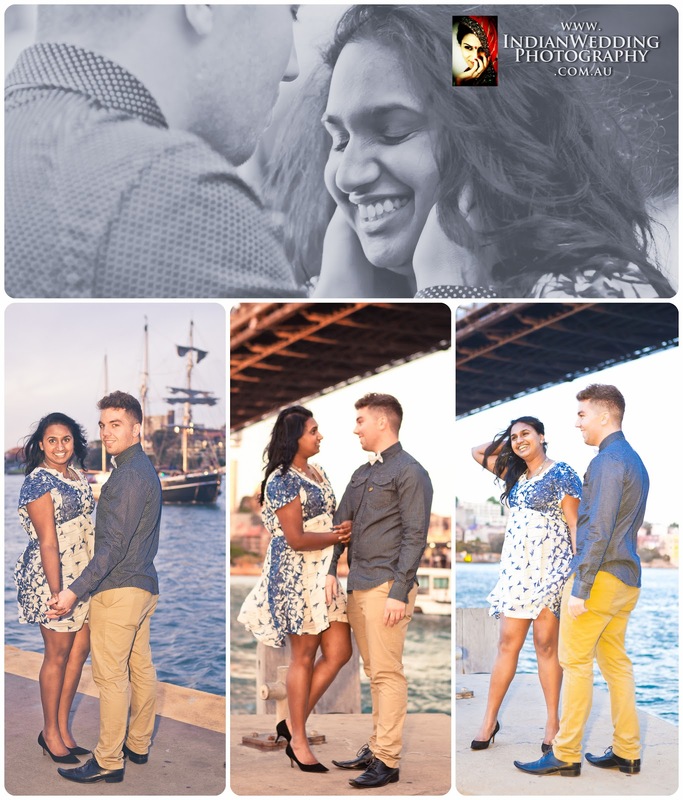 This session took about 3 hours from the moment we met the gorgeous couple - Ganga and Brendan. By the time we arrived at the venue, Ganga and Brendon had made themselves comfortable at the legendary Orient Hotel in the heart of The Rocks. 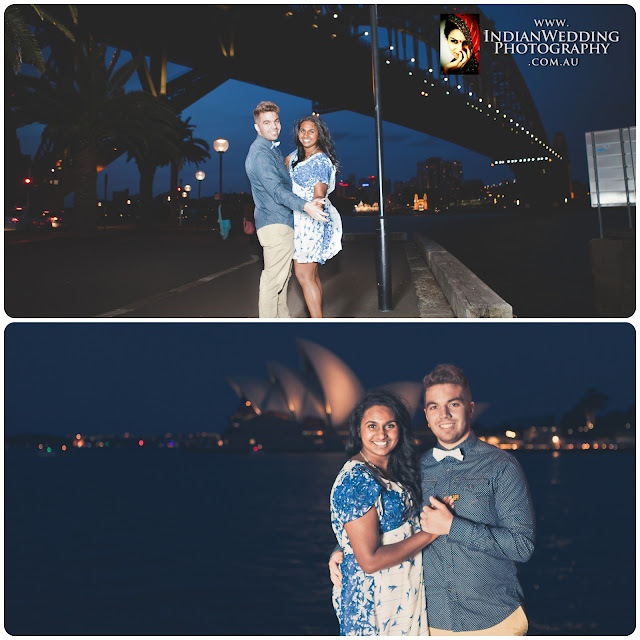 It was a gorgeous Sydney summer afternoon going into a magical and pleasant evening. 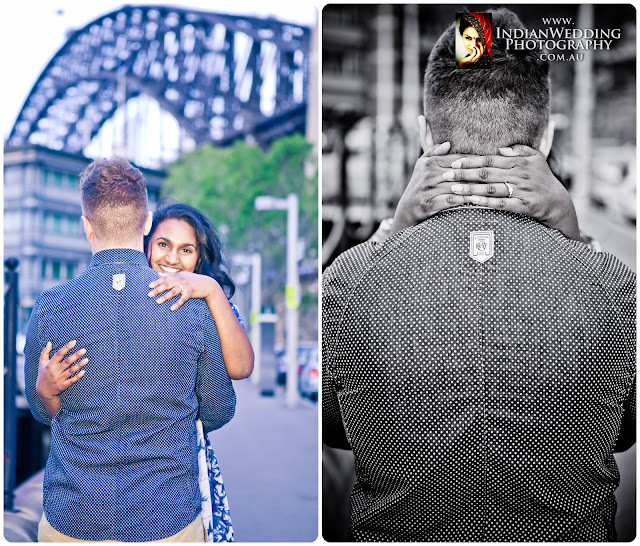 After the initial 'get-to-know' time and some drinks, we spent the next two and some hours walking around the area chatting about things-various under the Sun and taking some pictures. 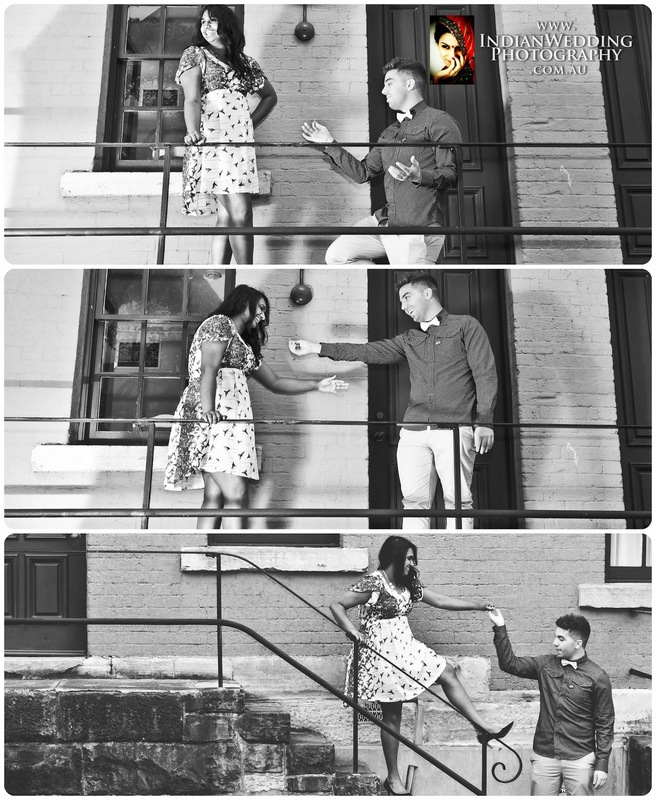 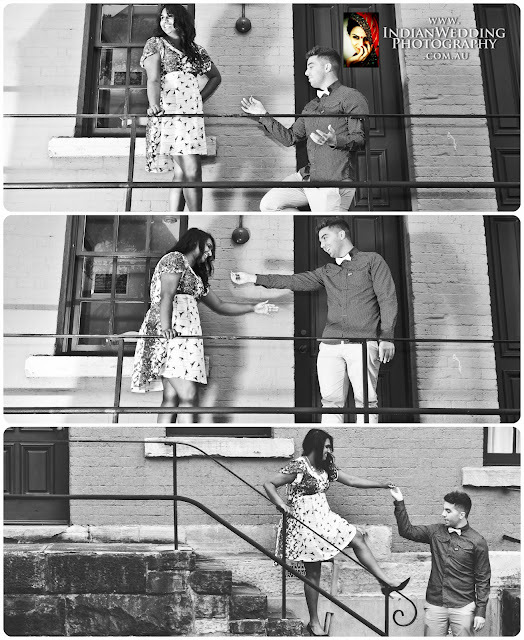 I look forward to shooting your wedding in Jan 2013. 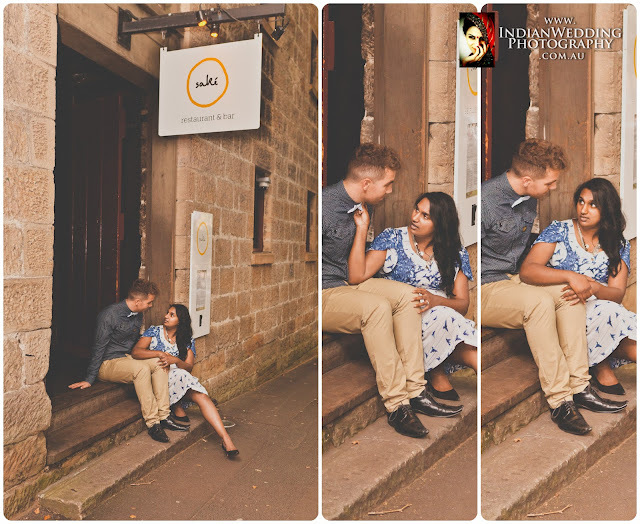 Pre-Wedding Photo-shoot, also popular as e-session (short for engagement-session) is very popular amongst couples and photographers equal. 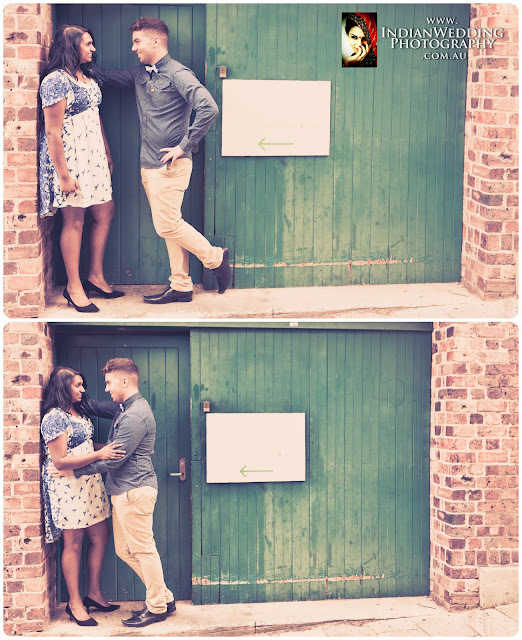 The purpose of a pre-wedding shoot is for the wedding photographers to get to know a couple and put them at ease in terms of being in front of a camera and having to look comfortable, spontaneous and of course romantic. 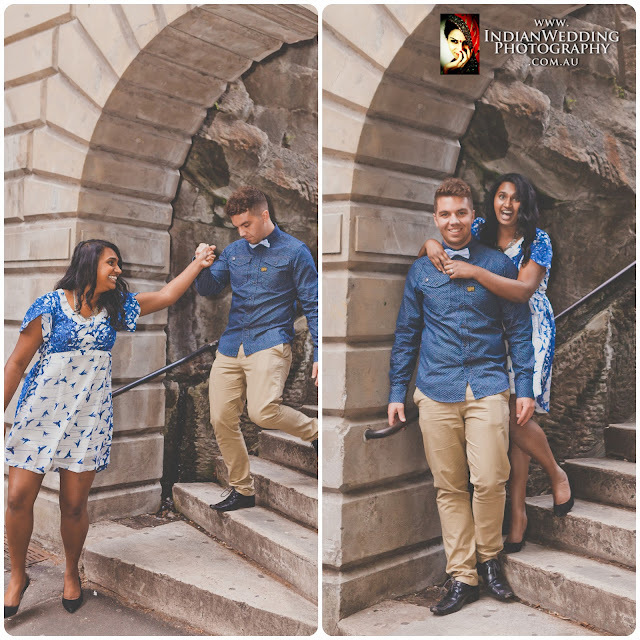 Since posing doesn't come natural to most people, it is the job of photographer to do as much as they can to ensure that a couple is totally at ease come the wedding day.